These magic shrink wraps offer a perfect and simple way to decorate glass or acrylic ornaments, jars, glasses and more! Simply wrap the design around your ornament and submerge in hot water until the wrap shrinks to fit the contours of your ornament. This craft is fun and easy, a great choice for crafters of all skill levels. See the video tab for a tutorial on using this product. 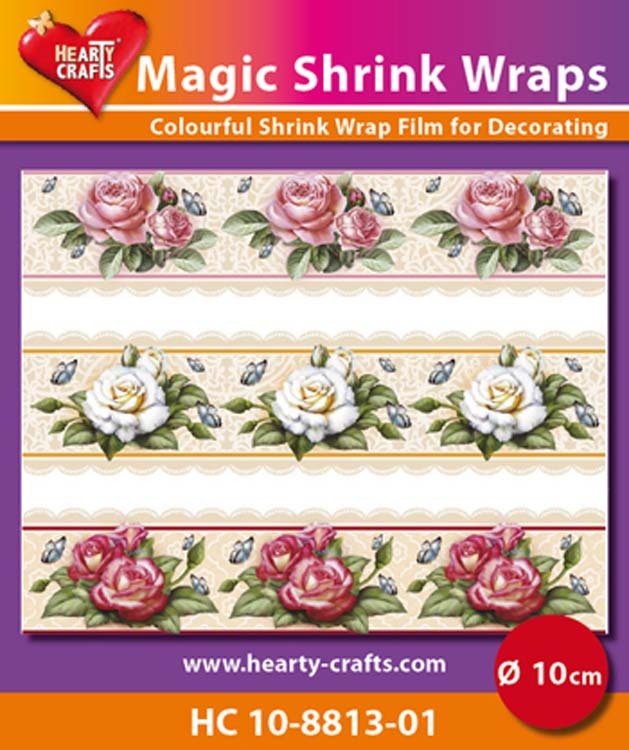 This set of sleeves features three different floral designs with roses and butterflies in white andf pink. Sleeves are 3.75 x 2 inches. Use these sleeves with ornaments that are 2 inches to 2.35 inches in diameter.